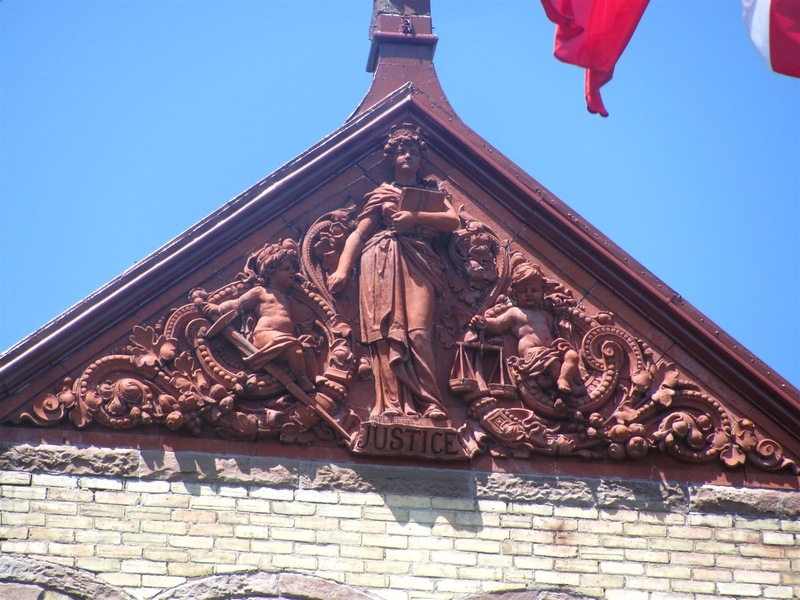 On May 9, 1887 the doors opened to one of Ontario’s magnificent court houses. 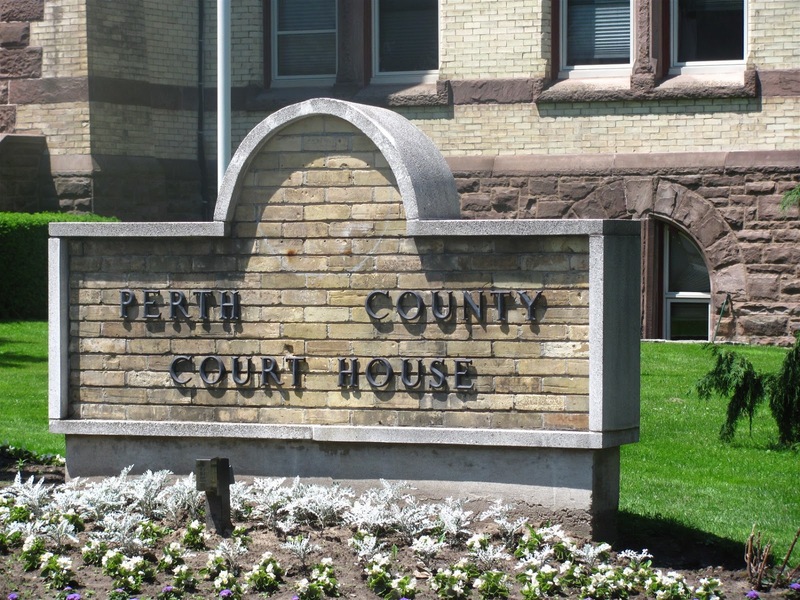 This was the second court house built as the original one (1853-1887) was also a jail and due to the poor ventilation, overcrowding, odour from the jail yard, eventually led to the court judges and personnel refusing to sit in the court room. By 1881 the original court house was becoming dilapidated and the need for a new one was presented to County Council. It was determined that the original site was too small for the new building so 2 ¼ acres of land was purchased in 1885 for $3500 from John Corry Wilson Daly, one of the first settlers. The new location was situated on the slopes of the Avon River and at the end of Ontario Street. It was the first building people would see as they approached Stratford. 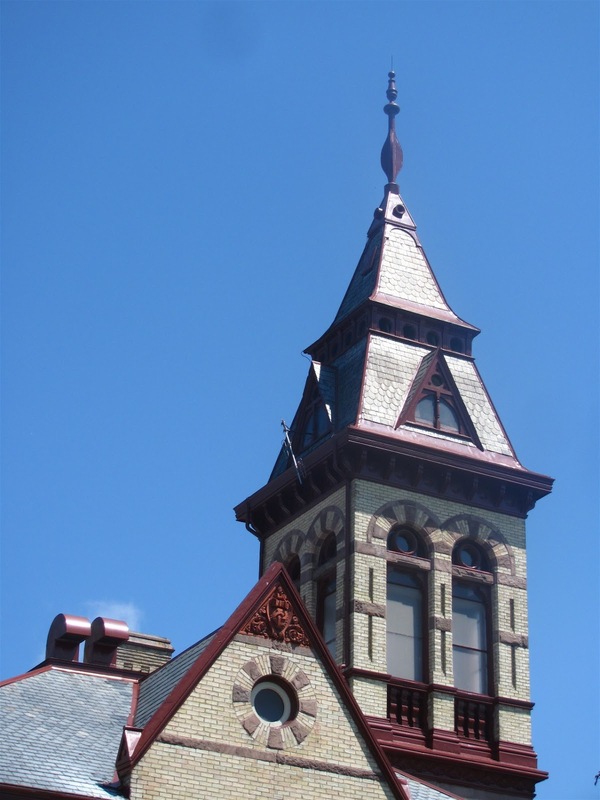 The young architect-artist, George F Durand designed this great example of High Victorian architecture, with a medieval tower, multiple small paned windows, heavy doors, terra cotta Romanesque motifs and brick chimneys. Durand considered architecture a form of art which is evident in the terra cotta panel near the right entrance where his name ‘Geo.F. Durand, architect’ appears. 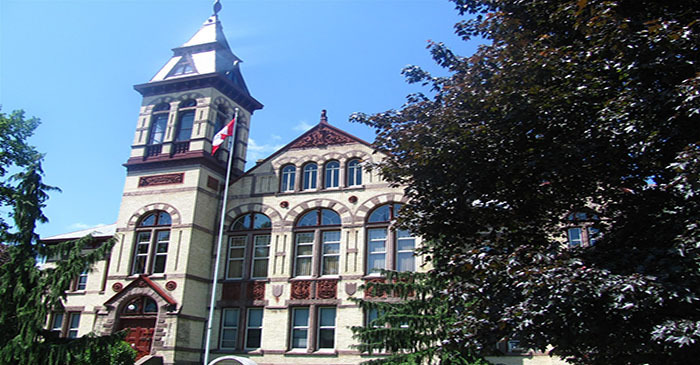 Frowned upon by the Ontario Association of Architects for signing his name on the building, it is a reminder to visitors of his artistic style. In 2013, the roof replacement was included in the city’s capital budget. Having provided protection to the building for 127 years, the original roof saw yearly repairs and leaks were starting to damage the building. The fact that the original slate exceeded its life cycle is a testament to the quality of the slate and excellent workmanship of the slaters back in 1886. The slate roof replacement began in May 2014 and was recently completed. We supplied 45 squares of our North Country Unfading Black in 18” x 10” x 3/16” for this project. Something to think about, if the new slate lasts another 127 years it would need replacement in 2141!